Talyn is the author of several books, magazines and podcasts related to the modern practices of diplomacy. Below is a sample of some of her work. 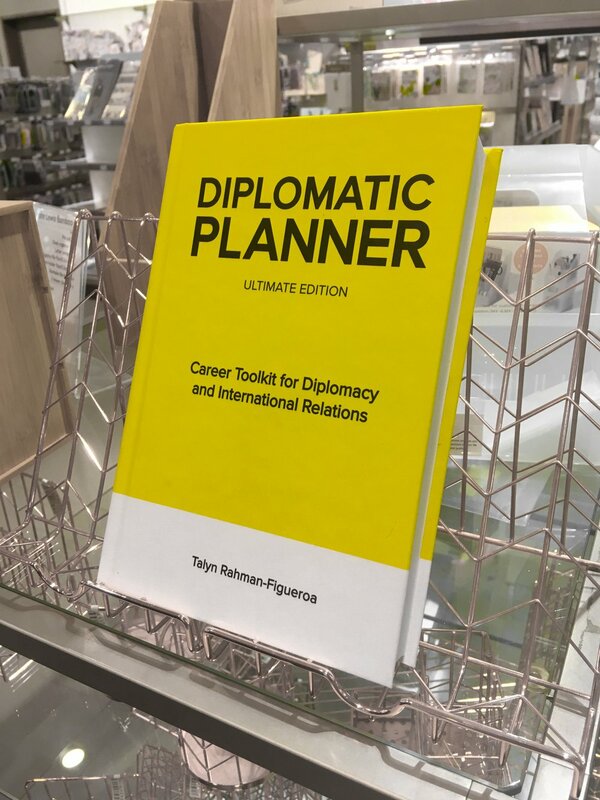 Published by Grassroot Diplomat, the “Diplomatic Planner” is a 12-month self-development career planner designed for citizen diplomats to make an informed decision about options in the field of international relations. Effective modern diplomacy is not reserved for seasoned professionals and should also enable citizens to exercise diplomacy while living abroad. From the beginning to the advanced stages of your career, the “Diplomatic Planner” will offer you a practical template for evolving the most empathetic version of yourself in a complex and multi-faceted environment. The toolkit is 100% practical with actionable plans and exercises that can be put into practice almost immediately. The Planner includes a monthly calendar, weekly scheduling and actions, monthly and quarterly evaluations, as well as space to mind map and explore your choices for a diplomatic career as part of a productive lifestyle. The Brexit referendum will be looked upon as a moment that shocked the world. Following the results, there was an uproar of confusion from UK citizens, EU nationals, and concerned foreign populations as to what leaving the European Union meant in reality. Many voters not only felt disappointed by the exit results, but also cheated and betrayed by the government for their inability to manage the campaign. This led to further distrust between the UK government and civil society, which is a key issue for Grassroot Diplomat. It is in the best interest of foreign governments to prepare their embassies with a strategic plan that can effectively manage pressures formulated from the Brexit divorce. The plan should go beyond its strategic relationship with the UK and EU member states, but also take into consideration how embassies are equipped in handling civilian crisis and the image it wishes to create for herself in both Britain and Europe at large. The Brexit Handbook is designed for diplomats of all nations. Not only will Brexit have global implications that need to be fully considered, but many of the issues facing civil society that are considered in this handbook - xenophobia, migration, foreign business - are highly relatable to nations around the globe. These techniques and options for preserving relationships can be applied regardless of momentous change. In fact, embassies and diplomats may even wish to take the initiative to implement some these practices in advance of any future scenarios so that they are tested ahead of time and remain efficient. Further engagement with Grassroot Diplomat can illustrate and put into practice the techniques described in this handbook and assist diplomats and embassies in becoming better representatives of their people and harbingers of beneficial social change. As a traditionally male domain, existing power structures within the diplomatic infrastructure remain to reinforce gender inequalities and overt discriminatory practices, making it difficult for women to enter diplomacy at the highest position. 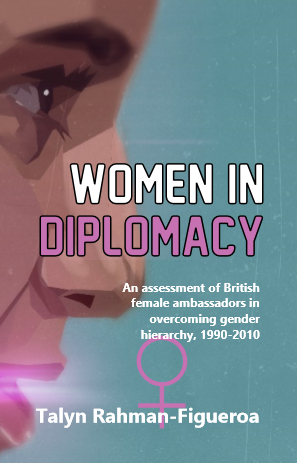 Using the United Kingdom as a case study, Talyn Rahman-Figueroa—diplomatic consultant and CEO of Grassroot Diplomat, critically examines gender hierarchy as a key problem to the advancement of women in diplomacy, and explores a variety of practical solutions to breaking centuries of patriarchal tradition.